Herculeze delivers heavy purchases from your favorite retailers! Herculeze saves you time and money! Whether you are buying a couch, dresser, mattress, or some other large item, Herculeze can save you the hassle of having to deliver it home! Herculeze is more affordable and reliable than any retail delivery service out there. Maybe you need to get a couch home from Pottery Barn, or a sectional home from Costco. Herculeze can connect you to a pickup truck driver who can fit these large and bulky goods in their vehicle. The driver will be deliver this item to your home, storage unit, or wherever it needs to be taken. No advance notice needs to be given, drivers are available whenever the delivery needs to get done. Same day deliveries are possible. Using a rental truck is pricey and often unreliable. It also includes the inconvenience of having to lift your heavy items on your own. Drivers are always sure to deliver your goods at an affordable price. No advance notice needs to be given, as drivers are available whenever the delivery needs to get it done. Posting a request on Herculeze will save you from the stressful situation of having to lift these large items into your car. The Herculeze platform makes transporting these large items home much convenient. Drivers can show up with as many helpers as requested. Herculeze drivers are happy to carry these items from the store and into their truck, and then deliver them to your home! Herculeze reverse auction style of pricing guarantees you will get the best price for delivering your large items home. 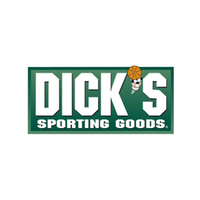 Some retailers that Herculeze have delivered from include Dicks Sporting Goods, Costco, HomeGoods, Home Depot, Pottery Barn, Mattress To Go, and more!